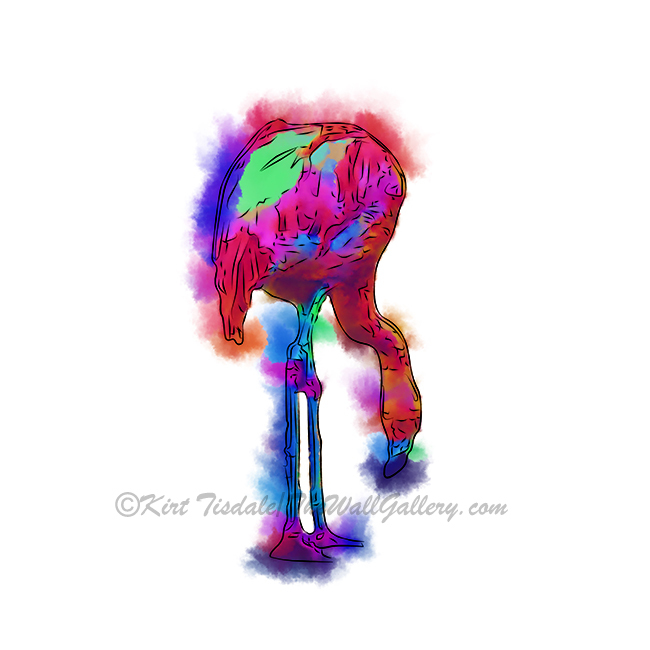 Carrying on from last weeks post, I wanted to share some more flamingo prints. Last October I shared a series of flamingos that I created using an impasto technique. 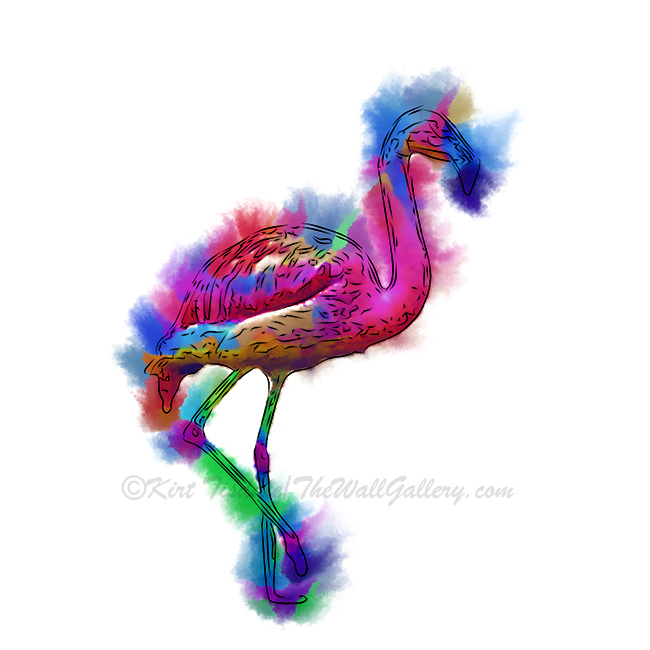 This particular series uses an abstract watercolor technique with the same ink pen drawings of a flamingo as an overlay on the abstract watercolor background. 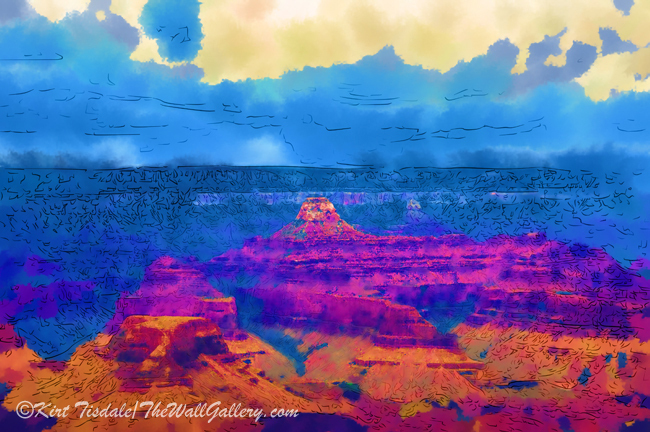 To create the watercolor background, I used (digital) a brush that creates an almost airbrushed look with a variety of colors. 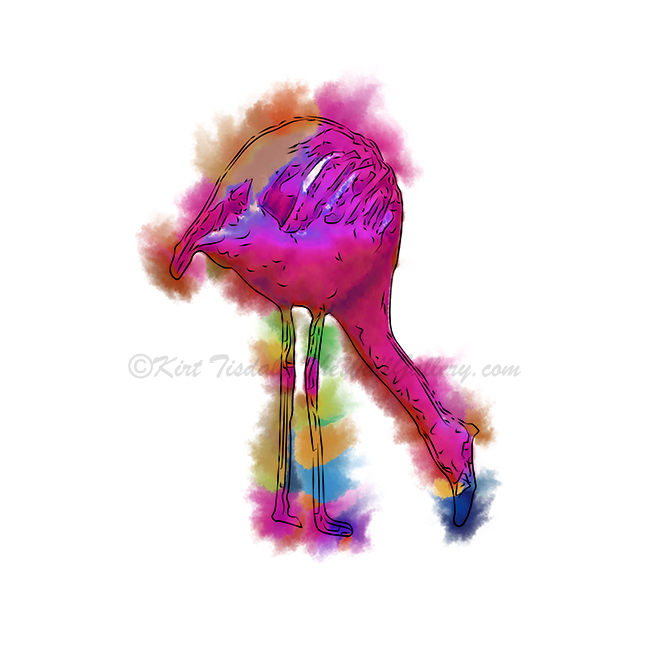 Then using an ink pen “brush”, I drew the flamingos on top of the colorful background. 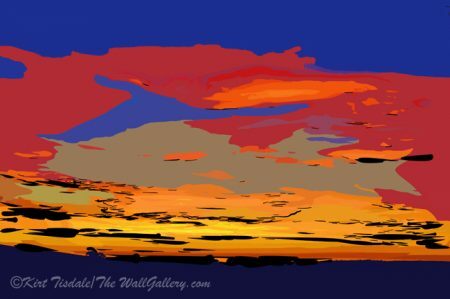 This entry was posted in Abstract Watercolors, Art Prints and tagged abstract art prints, artist kirt tisdale, flamingos, interior design, online art gallery on March 18, 2019 by Kirt D Tisdale. The flamingos are fantastic. Just wonderful. I’m happy that you had a nice experience with your family. Thank you very much…our trip took us to your part of the planet…Lax to Chicago flights . We drove over to Cedar Rapids from Chicago…was cold…Cedar Rapids still had a lot of snow on the ground. Winter is lasting far too long nowadays. Everyone is complaining, even strangers. LOL I’m an only child and so was my mom. We have a VERY tiny family, so my life is incredibly different than yours. 🙂 I just ordered a flamingo flag for my front porch. Will put my flamingos out as soon as it’s warm enough. They are so much fun. 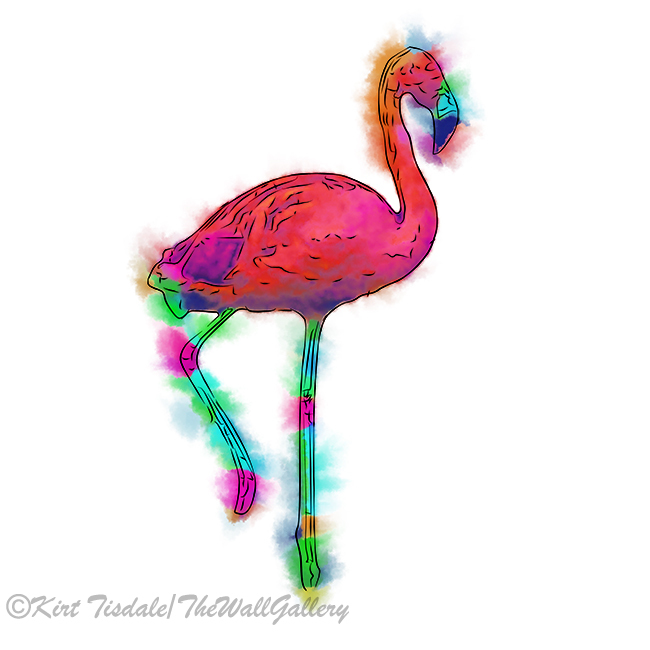 Always love the flamingos you do! So do my kids! God bless you and your family Kirt! Thank you very much Ryan…hope all is well with you! And may God bless you! The flamingos are fun Kirt. They remind me of Florida and beaches. I’m glad you had such a heartwarming celebration of your father with your family. Love all of your flamingos. 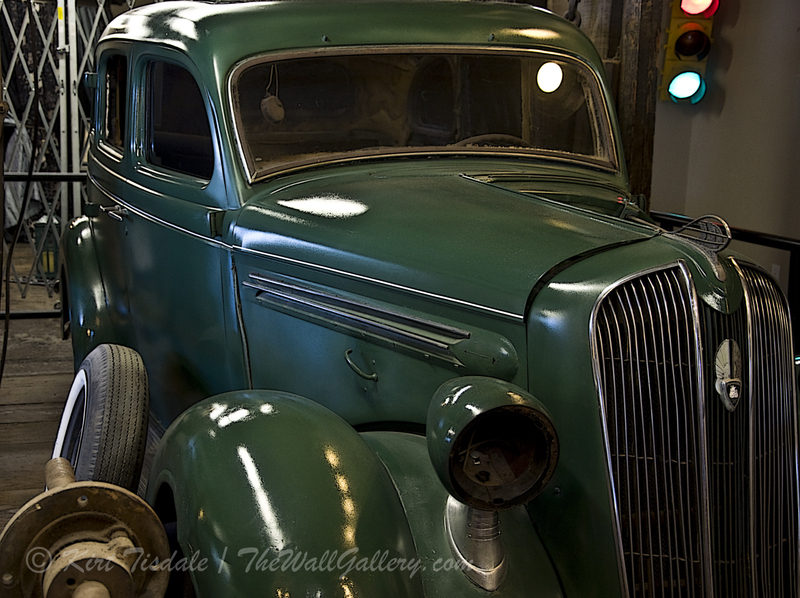 And so sorry for your loss…. Thank you very much Vera!! What fun! I love your colourful flamingos! And it interests me that you ‘sprayed’ the colours first and then drew the flamingos — I would have done the opposite. Very cool to see how your creative mind works! Thanks Diane!! I’m always playing around with different techniques. Have a great week!! My condolences to you Kirt. Prayers continue for you and your family. It sounds like the celebration of life was beautiful, Kirt. It must mean a lot to know your father was loved by many. The flamingos are so dynamic, wow! Thank you very much Christy! Ha! They are fabulous flamingos! Hugs on the wing. Thank you very much…they were a lot of fun to create!! Fun set Kirt! I love your technique here. Do you use a tablet to draw? I do some illustration using illustrator and vector curves with a mouse so I know what you mean. Difficult to get the hang at first.